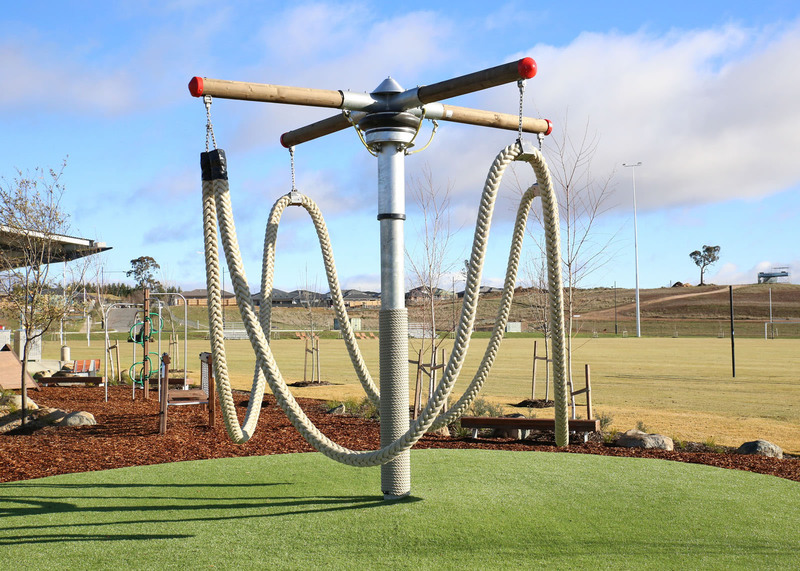 Canberra’s new urban development of Googong has ambitious goals around sustainability, affordability and community. Over the next 25 years, it’s set to become a community of 16,000 – evolving in stages to become the largest urban development in the Sydney to Canberra corridor. The township has a unique sense of humour, with the self-named ‘Googonians’ developing their own anthem, flag and vocabulary. 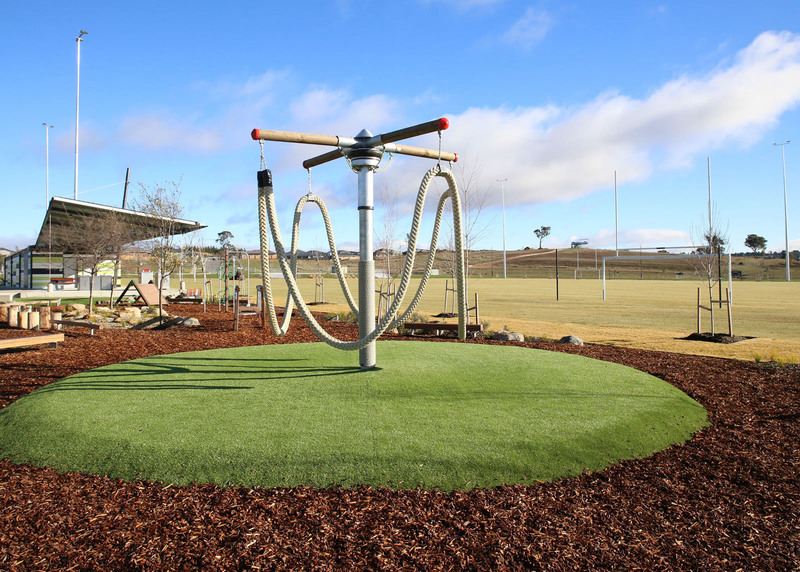 Unsurprisingly, parks and play are a top priority for this fun-loving community. So, when it came to creating a playground for the township’s Lovegrove Park, the brief was clear: creativity, adventure, interaction, inclusiveness and age-appropriate challenges. 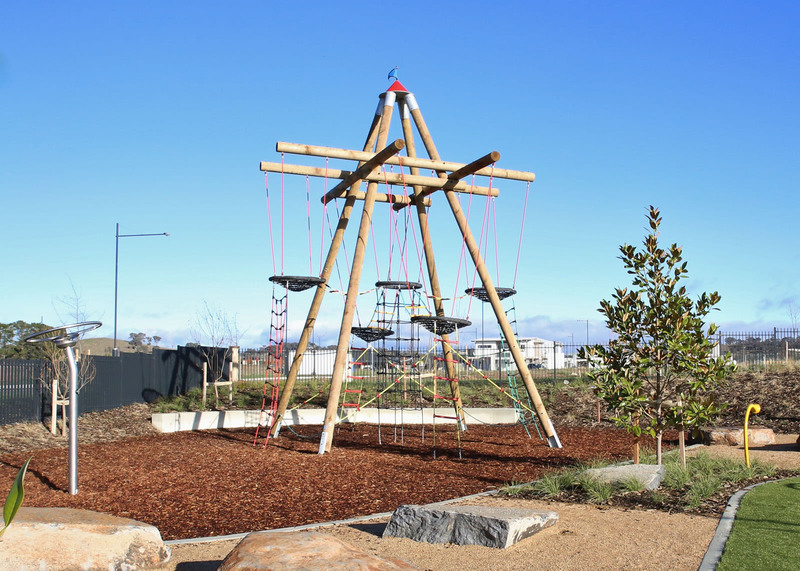 Working with Playground Centre, the ‘Googonian’ community has created an irresistible playground to match its unconventional spirit, with a modern-day spinning maypole, high-rotation action and an ambitious, elevated ‘bird nest’ tower. 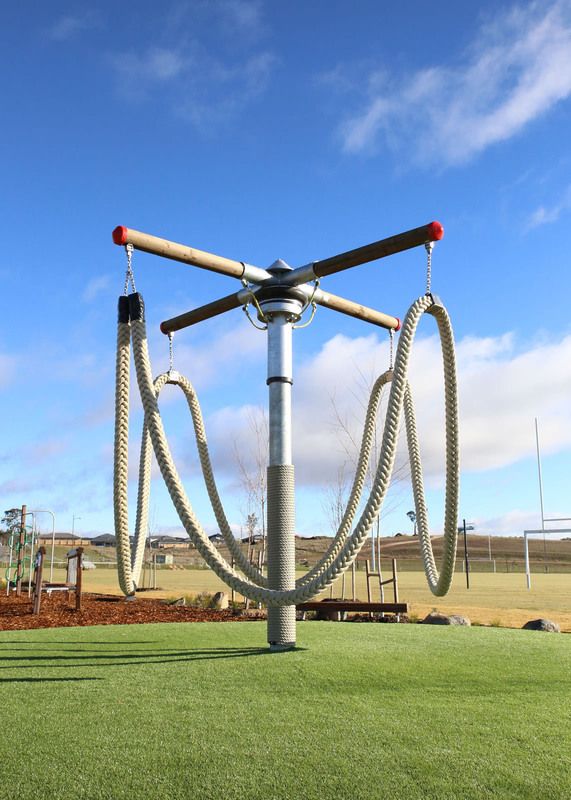 The enticing and all-inclusive Dancing Snake Rope Swing equipment offers giant ropes for children to climb and swing, and a great level of interactive play. 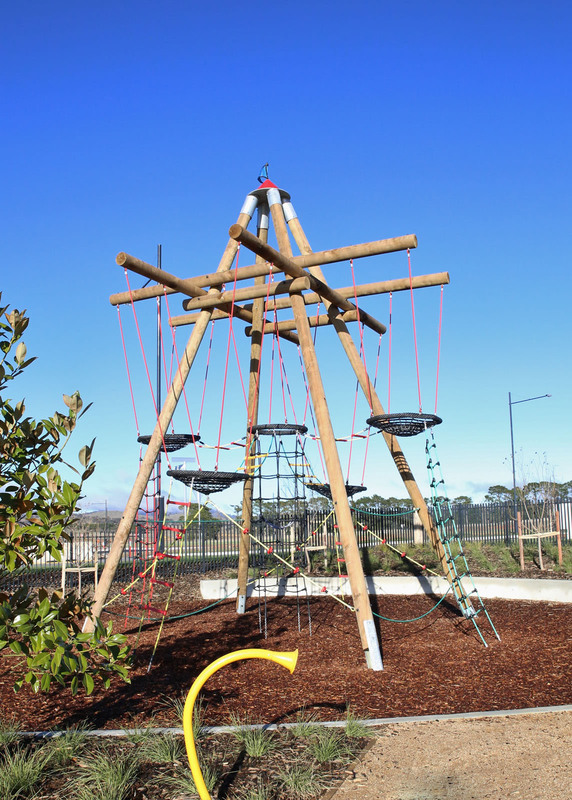 And because kids can’t get enough of climbing, Playground Centre packaged the swing together with a Birds Nest Tower. With ladders, scramble nets, baskets and a chimney, it takes children into their own elevated world, with challenges-aplenty.